The grand finale of the Garagistè Festival is the Grand Tasting, featuring around 70 wine makers who produce 1500 cases or less of their wine in a year. The festival, with newer branches in Solvang and Los Angeles each year, is a great opportunity for these small producers to become known. 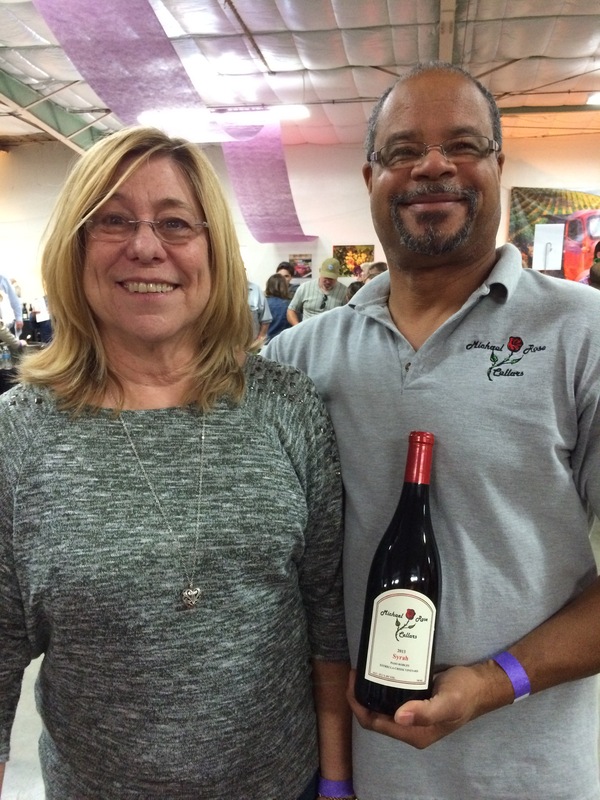 This year’s Grand Tasting was held at the Paso Robles Fairgounds in the Frontier Town area. The wine makers were arranged in a figure-eight configuration with a few vendors at the center. 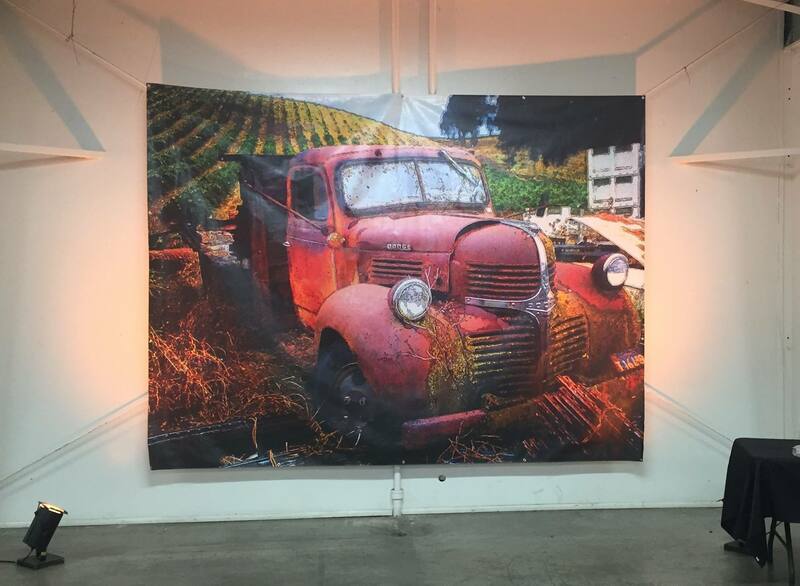 There were some wine makers who have been to all five Garagistè Festivals in Paso and some new this year. The overall quality of the wines presented has greatly improved over the years, as wine making techniques have improved across the board. At the first Garagistè Festival that I attended in 2010, about 20% of the wines were good or better. Today, that figure is closer to 60%. The Garagistè Festival logo artwork. The Grand Tasting runs from 2:00 pm to 5:00 pm, with VIP ticket holders who also attended the morning seminars (LINK TO POST) getting first crack for an extra hour from 1:00 to 2:00. The scene gets louder as the day goes along – there are a lot of rookie wine drinkers here who don’t know how to taste, or don’t care, so a few drunks are about by 3:00 or so. 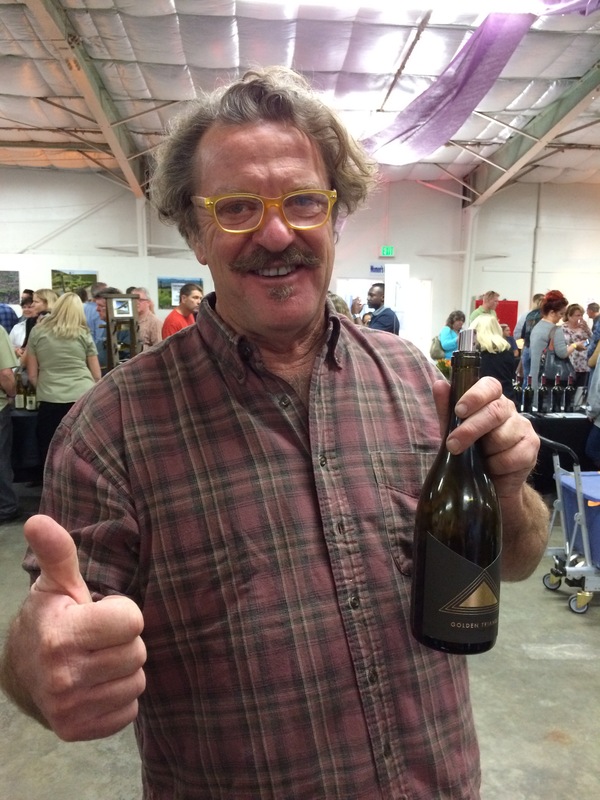 I will point out some of the better wine makers (IMHO) in the photos – also see the post on the Friday Night Wine Makers’ Mixer (LINK TO POST) for the best from that evening, almost all of whom were also at the Grand Tasting. Broken M Wine’s Karl Wicka. He and his wife, Heidi are owner-operators of this very nice operation. 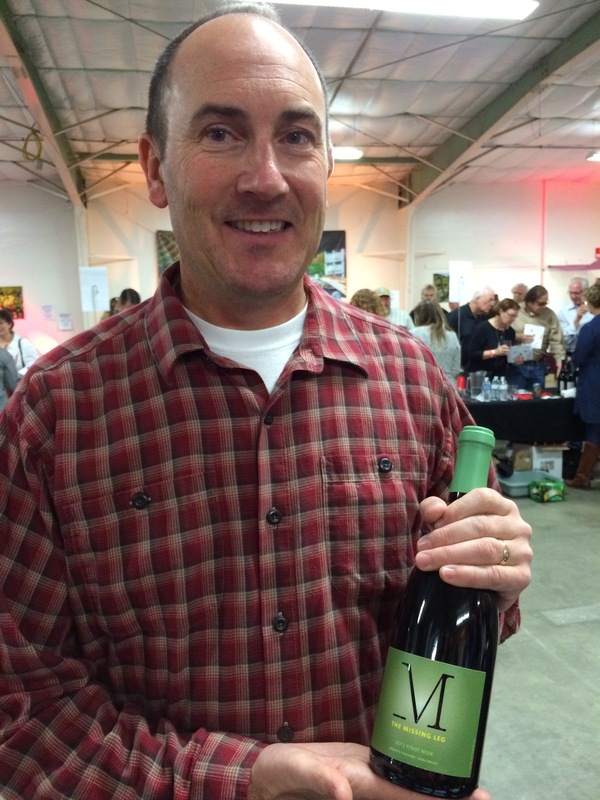 Stewart McLennan of Golden Triangle Wines – one of the Festival’s coordinators. Michael Jones (and Rose?) of Michael Rose Cellars. 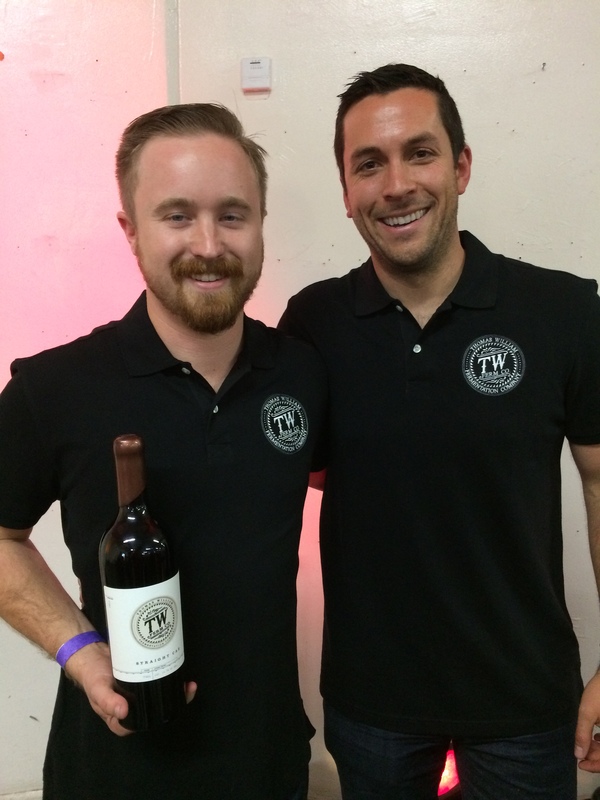 Paul Quinn & James Schreiner of TW Ferm Comany Wines. Cabernets only! 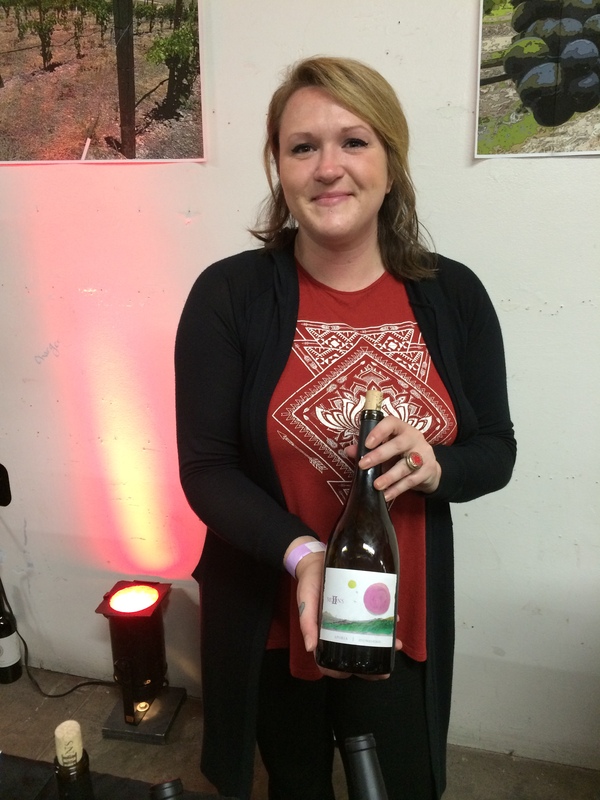 Amber Bierworth pouring Two Moons Rhone-style wines. 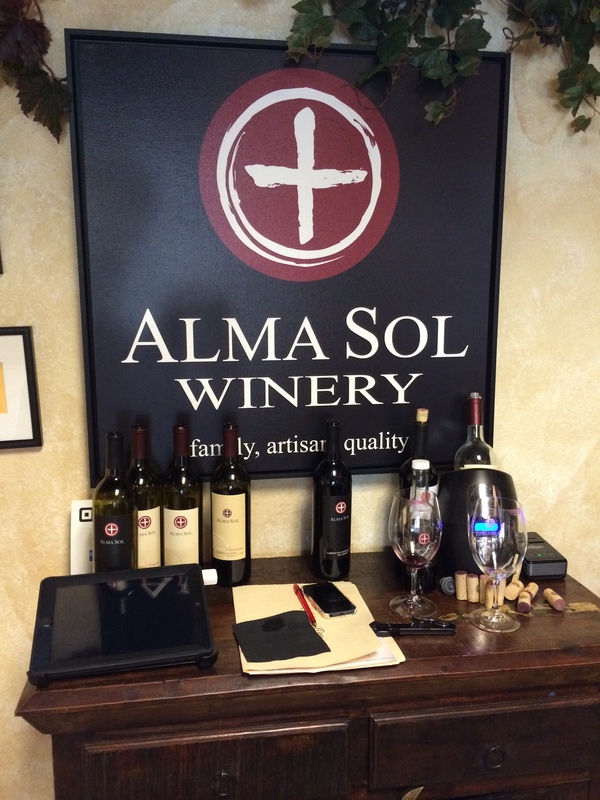 And our friend John from Alma Sol Winery was there again, pouring his amazing Bordeaux Blends and Cabernet Sauvignons. The Garagistè Festival is a great event, one that I highly recommend. If you want to discover the up and coming and the intentionally small wine makers of California’s Central Coast and beyond, this is your ticket.